Blue Raider Basketball stars Reggie Upshaw and Giddy Potts have been chosen for the 2016-2017 preseason C-USA team this morning. The announcement of the two comes as expected, following breakout campaigns. Last season, Upshaw lead the team in minutes played (31.1), rebounds per game (8.5), total assists (76) and steals (51). He also was second on the team in points per game (13.7) but finished first in total points on the year (480). Similarly, Potts came into his own last season becoming a household name by March. Potts lead the team in points per game (14.9) and was third on the team in rebounds per game (5.4). 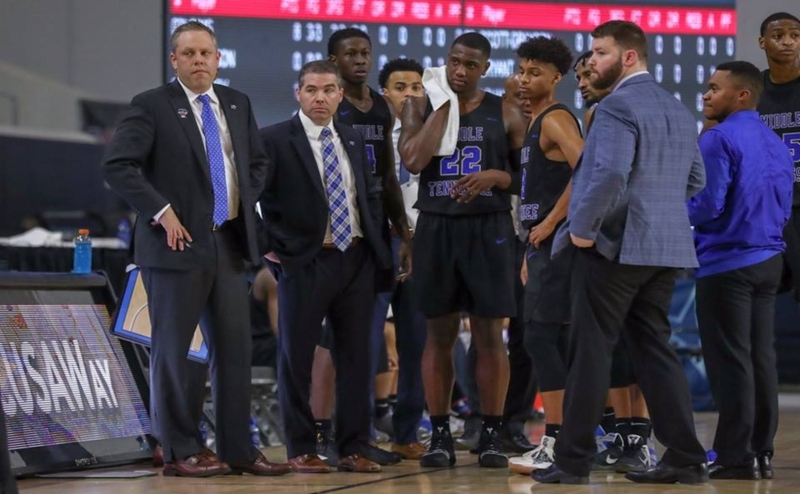 “I think it’s a really nice preseason accolade for those two guys,” Davis said in a release by MT Althletics.”Both of them are very deserving based on their body of work last season. 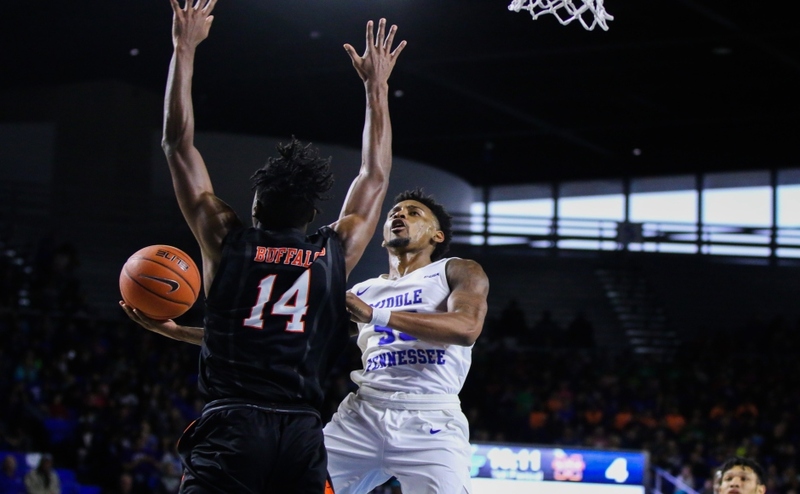 The junior guard’s claim-to-fame was his stroking ability from beyond the ark where he lead the nation in three-point field goal percentage (50.6%). On the year, the prolific scorer netted 79-of-156 shots made from three-point land, setting a school record in the process. Both Upshaw and Potts were catalysts down the stretch for the “Cinderella” team that busted 99.1 percent of the yahoo.com brackets. 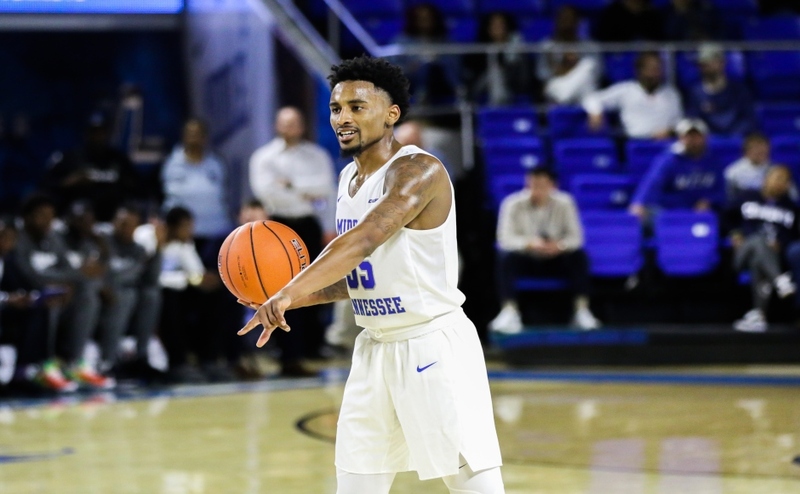 As for the team, the Blue Raiders received four first place votes but were ultimately were picked second in the preseason poll trailing UAB who received the remaining 10 votes. 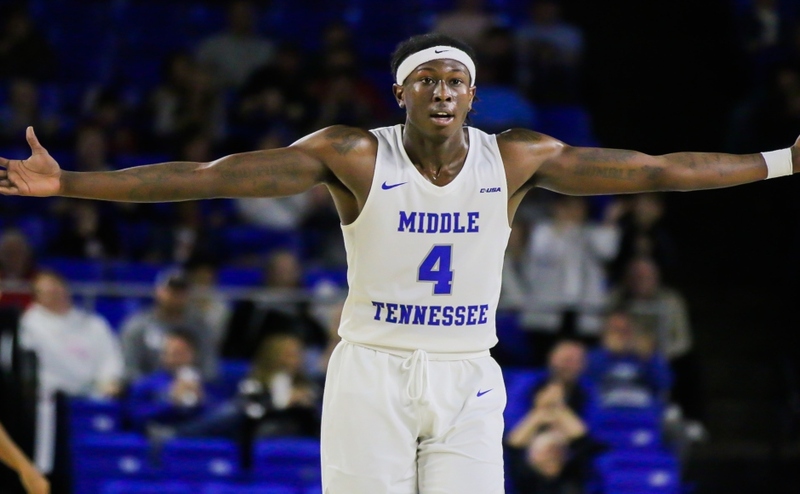 The Blue Raiders will open up with a Nov. 3 exhibition against South Alabama and officially start the 2016 regular season against Milligan College on Nov. 11. Both events will be held inside the historic Murphy Center.